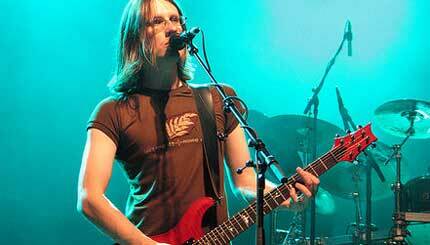 Steven John Wilson (born 3 November 1967) is a British musician, best known as the founder, lead guitarist, singer and songwriter of progressive rock band Porcupine Tree. He is involved in many other bands and musical projects both as musician and producer (including No-Man and Blackfield) and also maintains a solo career. Wilson is a self-taught producer, audio engineer, guitar and keyboard player, playing other instruments as and where required (including bass guitar, concert harp, hammer dulcimer and flute).